Joining the healthcare business intelligence sector is a new sophisticated market intelligence tool that provides unparalleled insight into hospital clinical performance and costs. Based on over 30 billion data points, financial reports, quality metrics, and clinical outcomes data, QuartzClinical has used its expertise in Big Data and Machine Learning to develop a new insight tool into hospital performance. “This tool will allow hospital administrators to pinpoint their opportunities for improvement with surgical precision,” said Sapan Desai, MD, PhD, MBA, FACS. 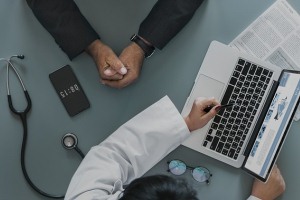 “Device manufacturers, pharmaceutical companies, and other healthcare business to business providers will be able to use this data to refine their marketing strategies and improve the value proposition provided to hospitals. Data transparency at the hospital level helps patients, physicians, payers, hospitals, and healthcare companies to play on a level playing field and really understand the value of every aspect of care that is provided.” Dr. Desai is the CEO of the Surgisphere Corporation, the parent company of QuartzClinical. Known as QuartzInsight, this tool uses Machine Learning and over 30 billion data points to identify strengths and weaknesses of hospital organisations in three key dimensions, including clinical, quality, and financial performance. Detailed metrics on each of those dimensions are available. When combined with Machine learning, a customised analysis of the total opportunity can be calculated. For example, a pharmaceutical company that wishes to implement a new medication for postoperative pain control will be able to use this tool to calculate the financial impact on the hospital system.